He is first International Verifier who has verified the assignment to HSB and he is an excellent coordinator. 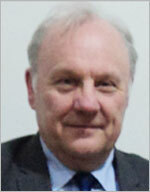 He has taught in various universities of U.K. with specialization in the field of Business Management. He is a good orator he has given good inputs to the college about how assessments will be made. He has set standards for making assignment and evaluation of assignments. He visited HSB in 2009.